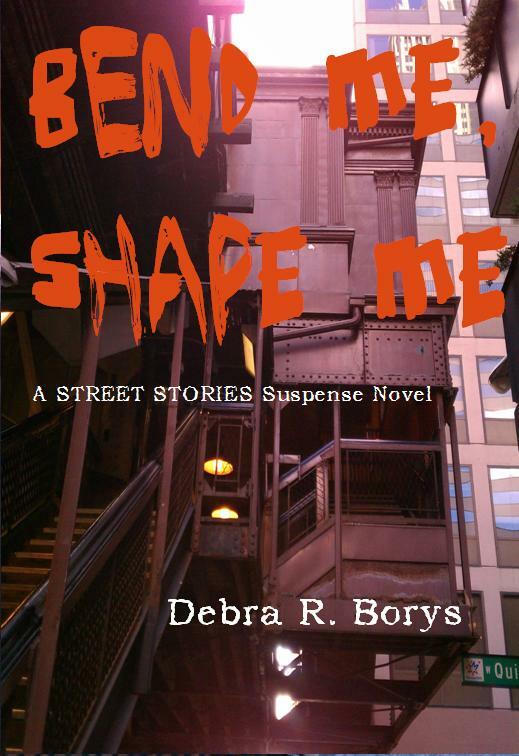 Final proofing on the e-versions of Bend Me, Shape Me is being done even as I write this. We are down to the nitpicky parts: commas, hyphens, extra spaces. Does a word split correctly on the Nook and Kindle screens? What about the apps for those programs? Are there any pesky little hidden codes left over from Word’s auto-formatting that are going to interfere with a reader’s enjoyment of the book? A new author photo has been taken and approved. The dedication and acknowledgements are written. I even included a list of resources this time for the research I did to be as authentic as I could when speaking about mind control and the language and lifestyle of the Yakama Nation. The cover selection is the only huge thing left to decide. To the right is my current favorite, but final copy is decided by the publisher. I asked my readers and friends and family to vote on images I took while in Chicago and they will be taking those opinions into account. The last few days I have been contacting websites who did reviews, author interviews and giveaways for the Painted Black book release and had some immediate and enthusiastic responses. Reviews have been scheduled with Crazy Lady with a Pen, Jenn’s Review Blog, The To Be Read Pile, and Wistfulskimmies Book Reviews. I will also be doing another guest blog at OmniMystery News. There will be contest giveaways coming up soon after release, too, so watch for notices on that. I want to thank everyone who has provided so much support and encouragement: my friends, my family, my readers, and strangers who share my love for books by providing space for little-known authors like me to spread the word about the books and characters we create and want to share with the world.